A struggle for power at Market Basket will likely lead to more lawsuits, says Philip Gordon of Gordon Law Group LLP. The company CEO Arthur T. Demoulas and several other high up professional employees were fired on Monday by the board – which is controlled by rival cousin Arthur S. Demoulas. Several other employees resigned in protest. Philip noted that this is far from the first family argument in the Demoulas family, whose company is based in Massachusetts and whose litigation is longstanding. To read the article, click here. Gordon Law Group team of professionals has experience representing all employees, from service workers to CEOs. 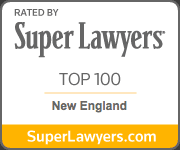 If you would like to learn more about the case or employment laws in Massachusetts, contact us today.